Shipping worldwide from our NZ warehouse. District 9 was one of the most successful movies of 2009, nominated for 4 Academy Awards including Best Picture. Written and directed by Neill Blomkamp and produced by Peter Jackson, the film explored race relations through the language of science fiction. The guns, the aliens, the vehicles, the graphic language - the world of District 9 was designed and developed here at Weta Workshop. 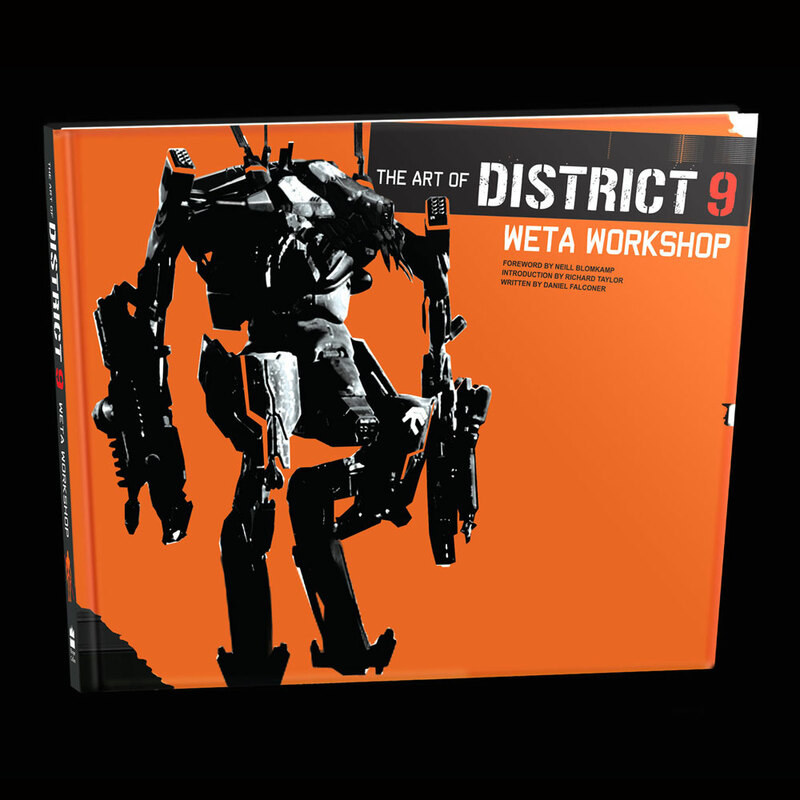 The Art of District 9: Weta Workshop tells the story from start to finish and illustrates the conceptual design process: how early sketches developed and evolved into the movie you saw on your screens. This is a book for the fanboy or girl who loves the world of design and concept art. Move over Bauhaus and Art Noveau, Weta Workshop is here! Richard Taylor, Weta Workshop's Creative Director and five time Academy Award winner, together with designers Greg Broadmore, David Meng, Leri Greer and Christian Pearce, worked closely with Neill Blomkamp and have contributed hundreds of pieces of conceptual art to this book. Daniel Falconer, Weta Workshop designer and author of The Crafting Of Narnia and The World of Kong, has collected all of this incredible material and written The Art Of District 9: Weta Workshop. Cover Design by Leri Greer. Weta Publishing has sold more than half a million books worldwide. Written and designed in-house, our ‘art of’ titles include The Hobbit Chronicles, The Art of the Adventures of Tintin, The Art of District 9, and more. Each tome is beautifully illustrated with hundreds of behind-the-scenes images and first-hand stories from the cast and crew who worked on the films. The first volume in our Hobbit Chronicles series featured on The New York Times Best Seller List, with more than 250,000 copies printed in six languages.